To find out when this item will be back in stock, please email enquiries@racshop.co.uk. 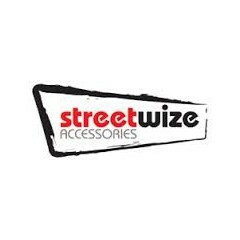 Streetwize are an award-winning supplier of trade car care solutions. 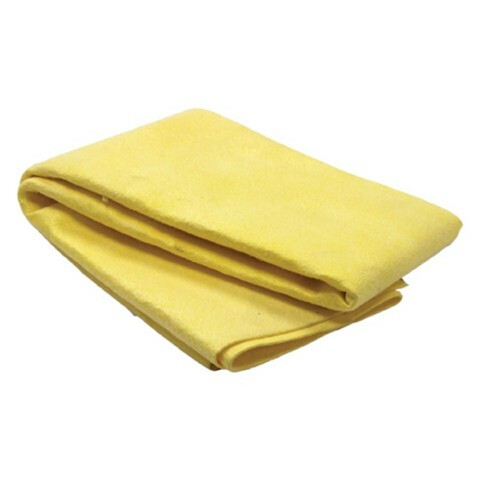 Their award winning Microfibre Synthetic Chamois absorbs liquid and leaves the surface spotlessly clean, as it contains fine microfibres that lift dust and grease, oppose to spreading it over the surface. Delivery of your order is by courier and will be dispatched same day whenever possible provided the order is received by us before 14:00. All Pet Products need to be ordered before 11am to be eligible for next day delivery. Delivery is free for orders over £50 and £4.99 for next day delivery. Standard delivery is £3.30 for all other orders with a few exceptions for some postcodes* and for some very heavy or very large products. The shipping costs for these can be found at checkout. Some items are flagged as being available to order. In these cases we will either have the product sent direct to you from our suppliers or they will be sent to us to forward on to you. In some cases this can take up to five working days from receipt of your order. If deliveries are to be delayed for any reason a customer service representative will get in touch with you to let you know and agree how you wish to proceed. Should your order not arrive please contact us on 0800 0119519 as soon as you feel your product is late and we will do everything we can to help. Avoid trailing cables and unlock certain features by having the RAC Shop professional install your in car technology product for you. Following your purchase online a customer services representative will contact you to discuss your fitting time and location and then an engineer will attend your home or place of work, or indeed wherever your car happens to be to fit your tech product for you. Many dash cams have enhanced functionality when hard wired, so that as well as looking far superior in your car it will be able to enter parking mode to record your vehicle even when you are away and the car is stationary (note this feature is not available on all cameras -see descriptions for details). Fitting will usually take around 1 - 2 hours for dash cams and 2-4 hours for parking sensors. If you have any questions about our technology fitting service, please contact us 0800 0119519. Should you wish to return your item, please fill in the form located here you will then be sent a RMA number and an address to send your product. Faulty products will be replaced as soon as we are able to verify the fault and ship another to you. For items you simply want to return within 14 days of purchase for a refund, a refund will be issued to the card you paid with within 7 days of the item being received by the RAC shop. Please note items sent back without an RMA number generated by our online returns form may take significantly longer to process. Items being returned after 14 days may carry a restocking fee - please contact us on 0800 0119519 for more information and to discuss your return.